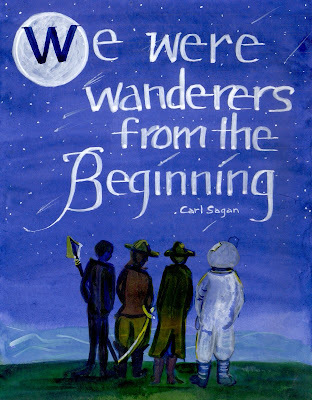 I realized back in august, just before attending WorldCon, that Carl Sagan had been gone an incredible 10 years. I did several art pieces to sell at the convention, some of them prints, and they did sell fairly well. In tribute to the man and his work, I’m participating in the blog-a-thon on my website: www.dubhsidhestudios.com.